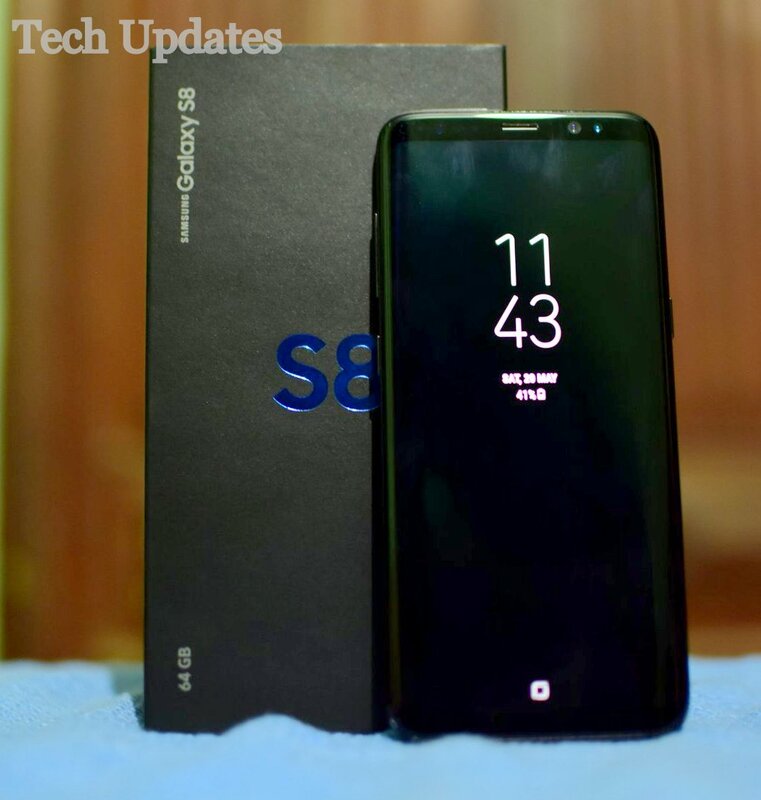 Samsung Galaxy S8 comes with a 5.8-inch Quad HD+ (2960 × 1440 pixels) Super AMOLED Infinity display with 570ppi and Corning Gorilla Glass 5 protection. It comes with an 18.5:9 aspect ratio which looks unique compared to other smartphones available. On the front, there is earpiece, proximity and ambient light sensors along with an 8MP front camera and iris scanner. 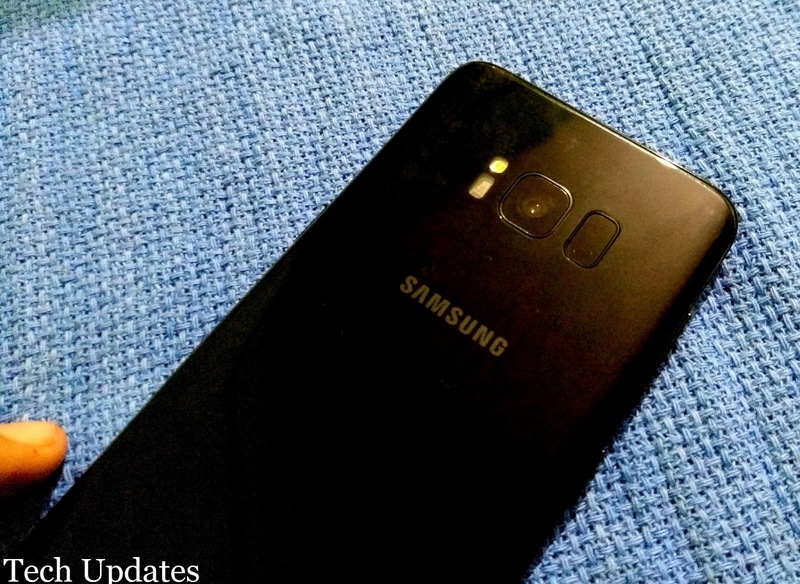 On the Rear Galaxy S8 sports a 12MP Dual Pixel rear camera with LED Flash, f/1.7 aperture, 1/2.55″ sensor size, OIS and 1.4µm pixel size. 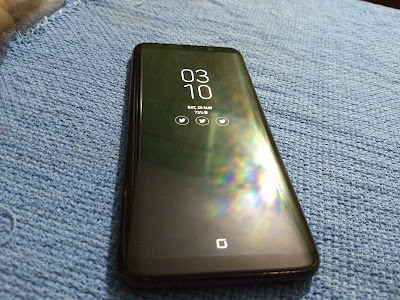 Also present is the fingerprint sensor and a heart rate sensor.Fingerprint Scanner placement is not good also fingerprint Scanner is not fast as we have seen in some mid-range devices.The phone is water resistant up to 1.5 meters of water for 30 minutes with IP68 ratings. Connectivity options on the phone include 4G VoLTE, Wi-Fi 802.11ac (2.4/5GHz), VHT80 MU-MIMO, Bluetooth 5.0 and GPS. It has a 3000mAh battery with fast Charging both on wired and wireless (WPC and PMA) charging. 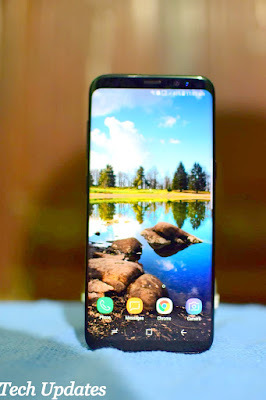 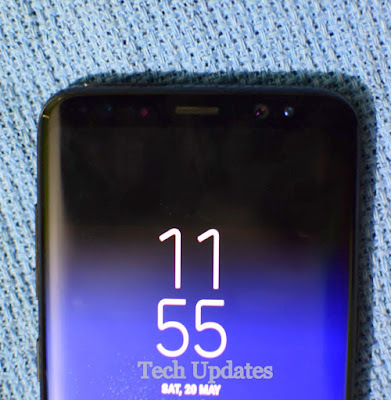 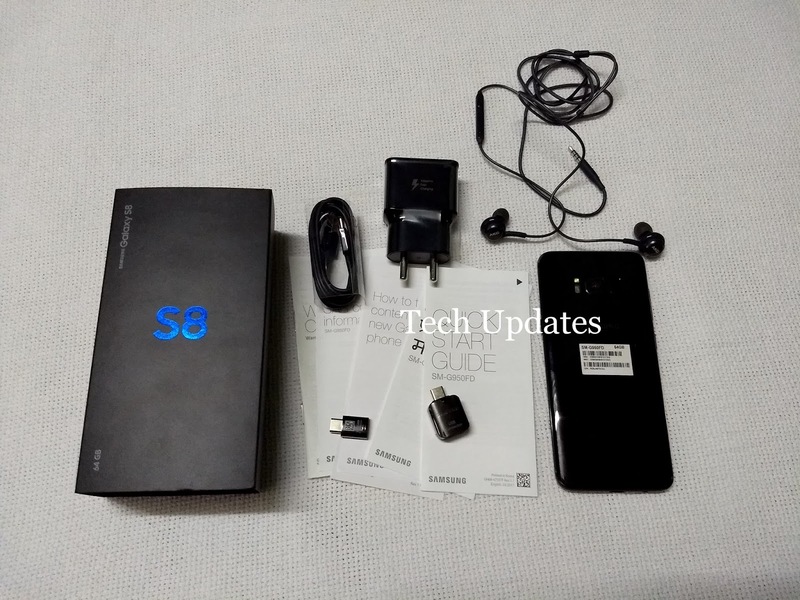 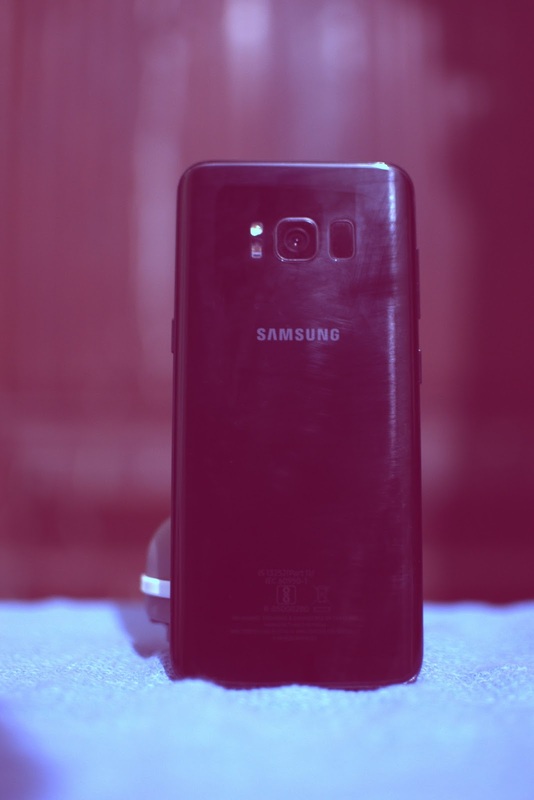 Galaxy S8 is powered by an Octa-Core Samsung Exynos 9 Series 8895 processor and comes with 4GB of RAM, 64GB storage out of which 52GB is available for the user further expandable up to 256GB with microSD with hybrid SIM slot. 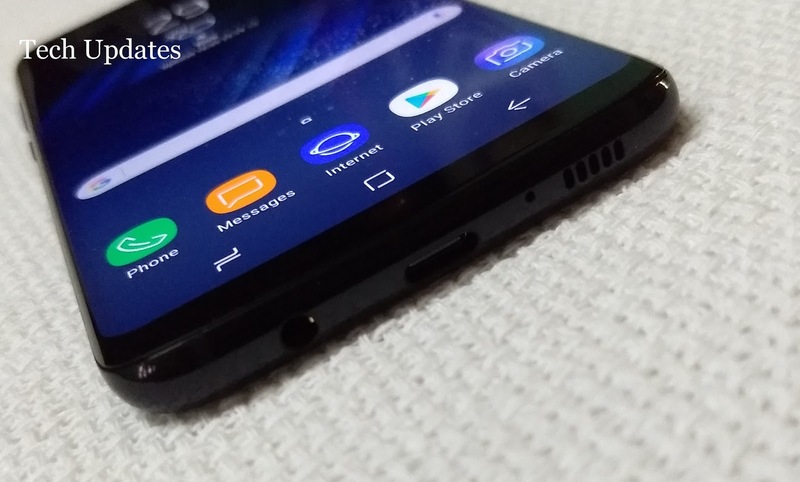 Running Android 7.0 Nougat with Samsung Experience version 8.1, the phone has extremely slim bezels and the screen is curved on all the sides.